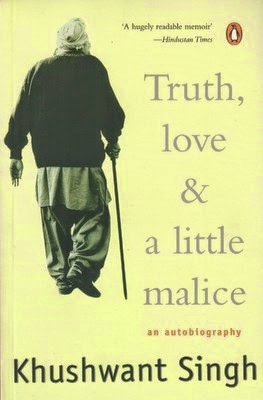 Truth, Love & A Little Malice is an autobiographical account of the journey of the famous writer, journalist and columnist, Khushwant Singh. The book delves deep into the family roots of the writer moving forth to his professional life, giving detailed accounts of his relations with political dignitaries. Marked by a deep personal touch and a classic blend of quick witted humour and detailed analysis of the author’s personal experiences in his personal and professional journey, Truth, Love & A Little Malice may be described as a controversial yet bold attempt by the writer to unabashedly bring to light his personal life experiences. The book has Singh tracing his familial roots and talking about his family legacy. The book opens up and outgrows into further detailed images of the author’s meetings with political dignitaries. As he openly discusses those meetings with his unique wit, the reader is bound to be surprised yet amazed by his approach. Being exposed to many post independent events in India, and closely attached politically as a journalist and columnist, the author reveals the deepest secrets of Indian political history in a very different from what we know it as. An example would be when he talks about the welcoming of Maneka Gandhi, as a daughter-in-law into the Gandhi family. Truth, Love & A Little Malice marks the eventful journey of a bold writer from outside and from within and also reveals details about his first ever relationship and the intimacy surrounding it. The author does not for a minute bother to care about himself or his image and projects himself as a man who has made mistakes in his life. The book was first published in the year 2002. Khushwant Singh was an Anglo-Indian writer, advocate, politician and journalist. A Padma Vibhushan awardee, Mr. Singh is best remembered for his humour, love of poetry and his vigourous treatment of secularism in his writings, most evident in: The Company of Women, Truth, Love and a Little Malice, With Malice towards One and All, The Mark of Vishnu and Other Stories and Delhi: A Novel. A graduate of Government College, Lahore, St. Stephen's College in Delhi and King's College London, he read for the Bar at the Inner Temple and served as a practising lawyer for nearly fifteen years before entering journalism. He has worked with The Illustrated Weekly, The National Herald and Hindustan Times. A prolific writer, Mr. Singh wrote till the grand old age of 99, releasing his last work The Good, The Bad and The Ridiculous a few months before his passing in March 2014.